The ultimate comforting toy. 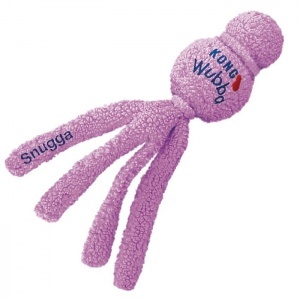 Covered with plush thick fleece, dogs love snuggling this super soft Snugga Wubba. The long tails also make this a great interactive toy for fun and retrieval. Please note: This is not a chew toy.